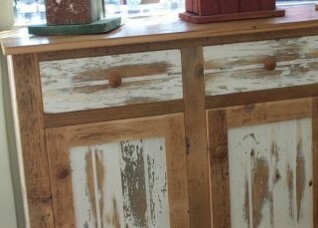 I love Trailer Park furniture, accessories and home furnishings! Mostly Trailer Park carries handcrafted Amish and vintage (1950s-1970s) furniture. Trailer Park’s Amish collection includes tables, kitchen hutches, bookcases, dressers, sideboards, desks, benches and more. 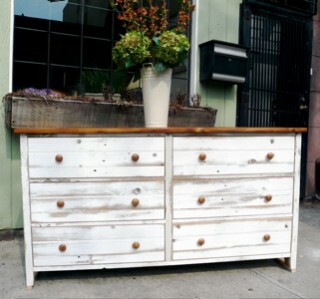 Each piece is handcrafted using recycled wood from old barns! Amish furniture from recycled wood is made without electric tools, mostly by using hand-tools.